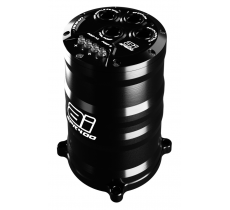 Aftermarket Industries surge tanks & swirl pots are engineered and manufactured using aerospace grade materials. 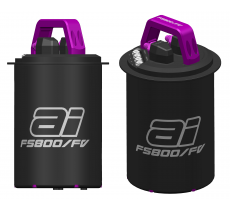 Our extensive range is tested to withstand the most extreme motorsport applications from street, drift, track, time attack, rally to drag racing (Nissan, Mitsubishi, Ford, Holden, Subaru, Mazda, Honda, BMW). With over 15 years of experiences, we've worked on 1000's of fuel system projects and helped our customer to break countless domestic and international horsepower and quarter mile records, Our customers have also won countless prestigious international motorsport events such as World Time Attack and Formula Drift. So what then is the purpose of a surge tank / swirl pot? 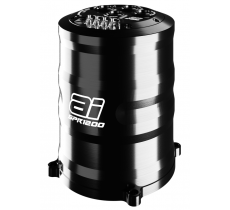 A surge tank / swirl pot serves two key functions: a) to ensure the engine is not starved of fuel during acceleration, cornering & hard braking and b) provide the ability to add additional fuel pumps to support higher fuel consumption requirements & demands due to an increase in horsepower. 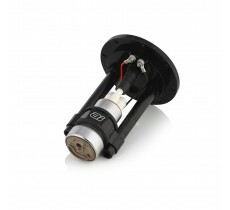 This is achieved through aftermarket surge tank designs which support multiple fuel pumps. 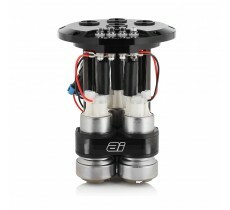 Surge Tank The Aftermarket Industries 3 litre Dual Port Surge Tank Kit which is perfect..
FS400 Fuel Pump Hanger Fuel Pump Hanger : The Aftermarket Industries billet fuel pump hanger ..
SP400 Surge Tank The Aftermarket Industries SP400 ("Surge Protection:400") (Desig..
*SP044 Surge Tank capacity now increased to 2.4 litres! Surge Tank : The Aftermarket Industries&n..
FS1200 Fuel Pump Hanger FS1200 Fuel Pump Hanger Special Features: Quiet Operation ..
SPR400 Surge Tank - PLEASE NOTE: 2 WEEK WAITING LIST FROM ORDER DATE FOR THIS PRODUCT DUE TO HIGH DE..
Surge Tank / Swirl Pot SP1200 Surge Tank Special Features: Capacity Largest triple ..
SP800 Surge Tank has now been replaced by the SPR1000 Surge Tank SP800 Surge Tank Special Fea..
SPR1000 Surge Tank SPR1000 Surge Tank Special Features: Quiet Operation Special..
SPR1200 Surge Tank / Swirl Pot: IN STOCK SPR1200 Surge Tank Special Features: Quiet Ope..
SPR400 Surge Tank SPR400 Surge Tank Special Features: Quiet Operation Specially mou..